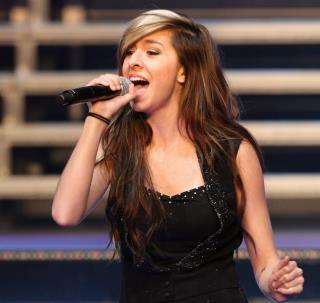 (Newser) – A gunman opened fire at a Florida concert venue as singer Christina Grimmie signed autographs for fans after a show, killing the onetime star of The Voice before shooting and killing himself, officials said Saturday. A publicist for Grimmie, Heather Walsh, said in an email early Saturday that "we can confirm that Christina has passed and went home to be with the Lord." Police said in a news release that the 22-year-old singer had performed with the band Before You Exit at The Plaza Live in Orlando. The concert ended around 10pm, and Grimmie was shot as she signed autographs for fans at a merchandise table, the AP reports. Grimmie's brother immediately tackled the gunman, who then shot and killed himself during the struggle, police said. When you make it easy for ignorant people to kill, guess what they do. Always a handful of nuts out their who live in a fantasy world, and can't tell reality apart from their delusions. Sadly in our ever increasingly superficial society p, it's becoming more and more common for this type of delusional nut to exist. Shut off the tv and flush the big pharmaceutical drugs. Eat right, read a nonfiction book, about science or history, and take a hike.